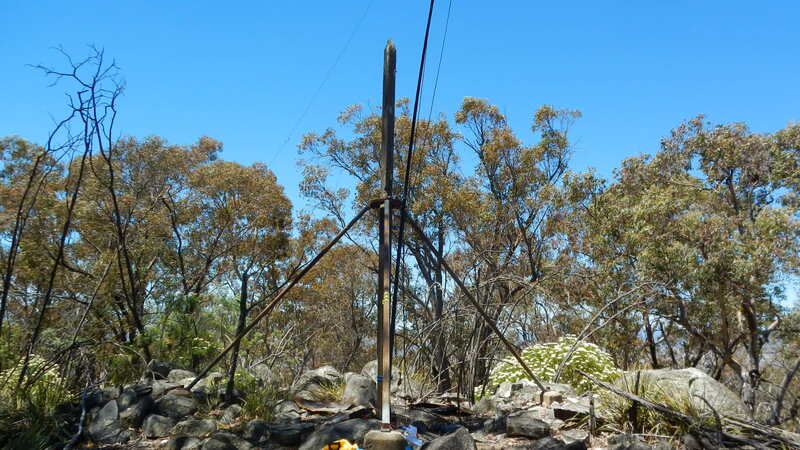 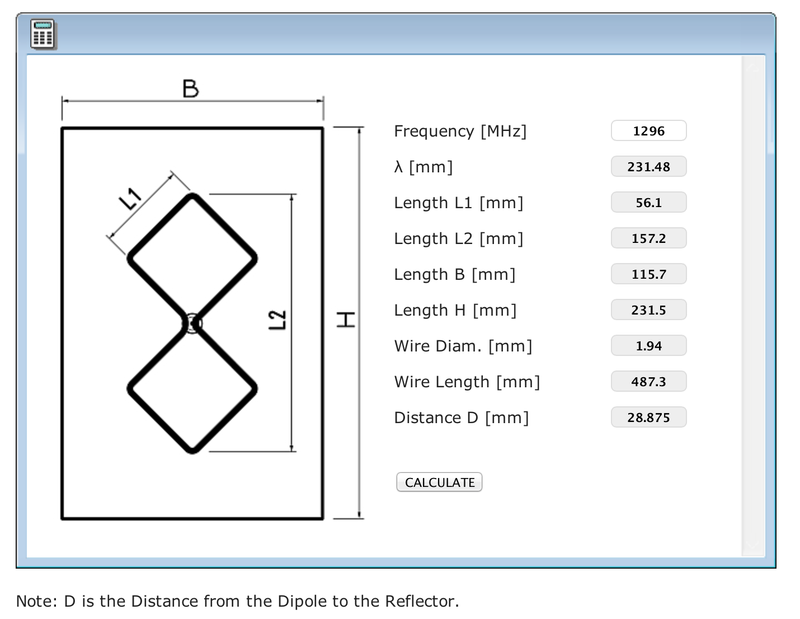 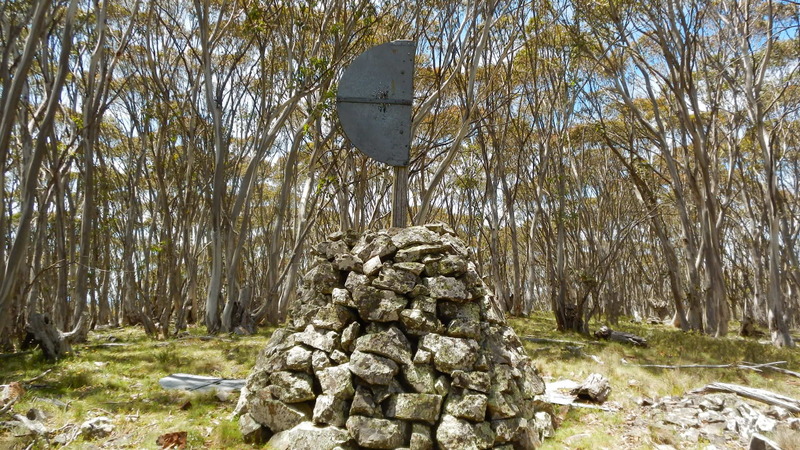 Traveling around Australia the design of Trigonometric Stations or ‘Trig’ varies from state to state. 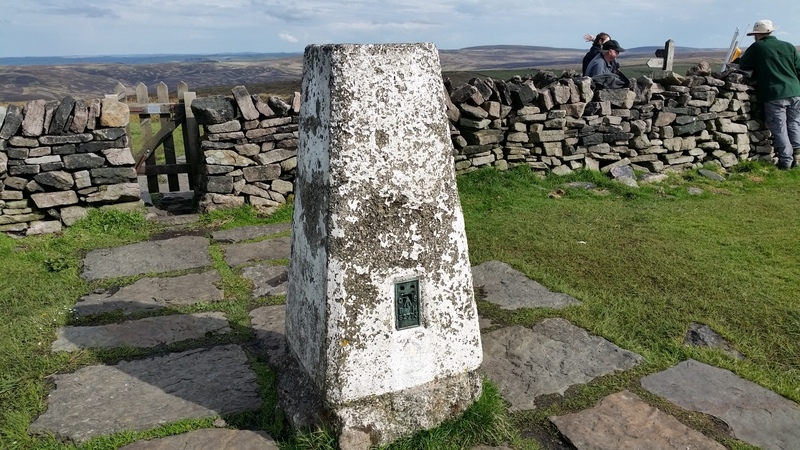 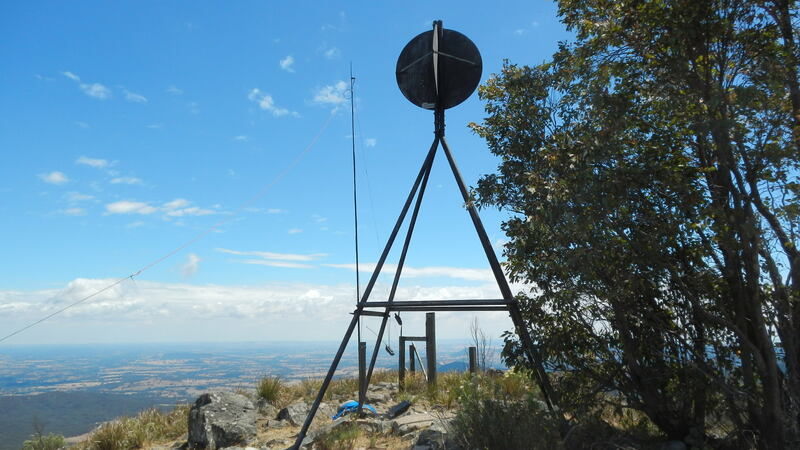 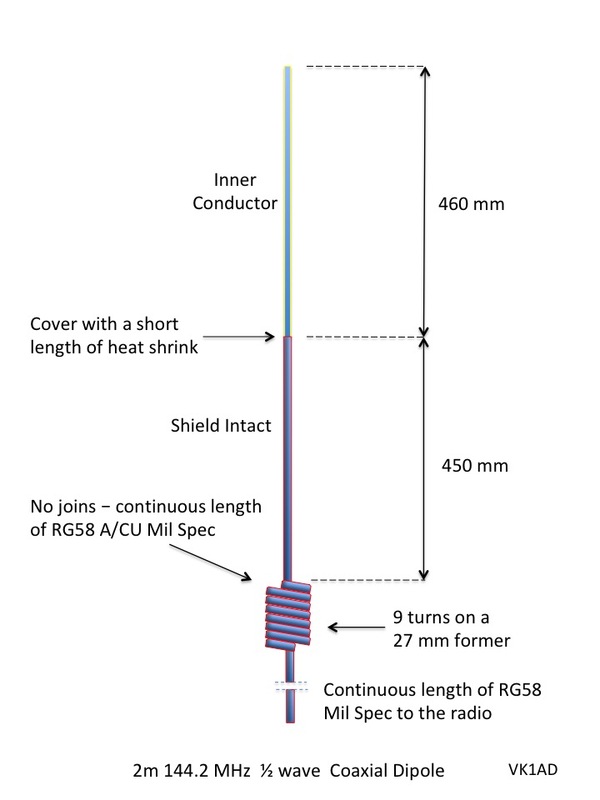 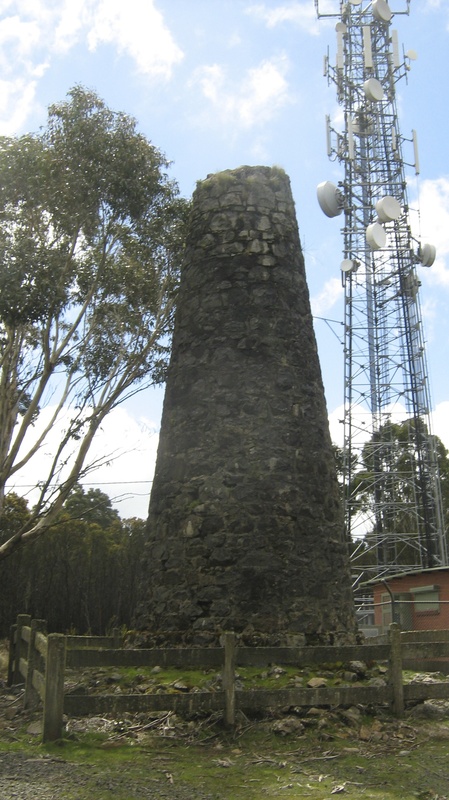 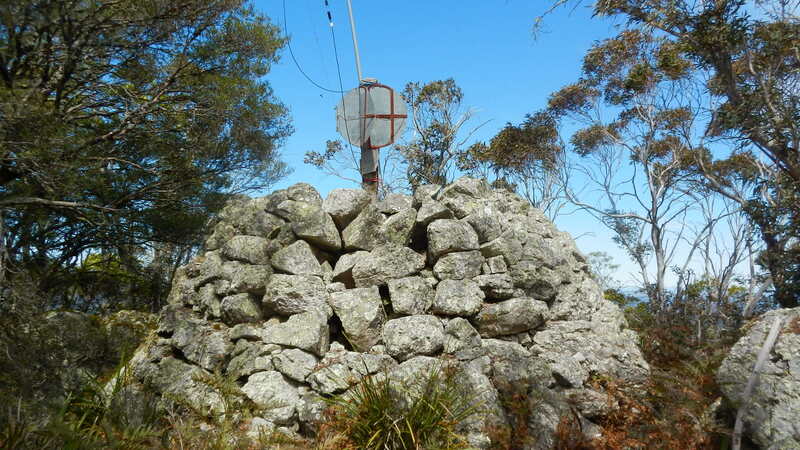 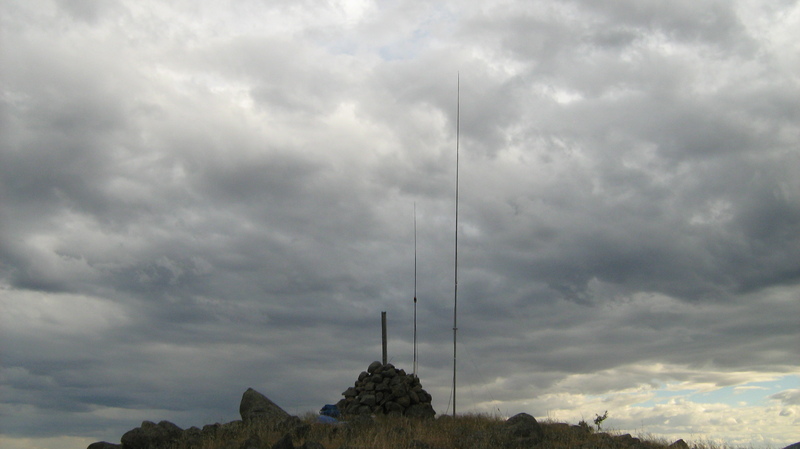 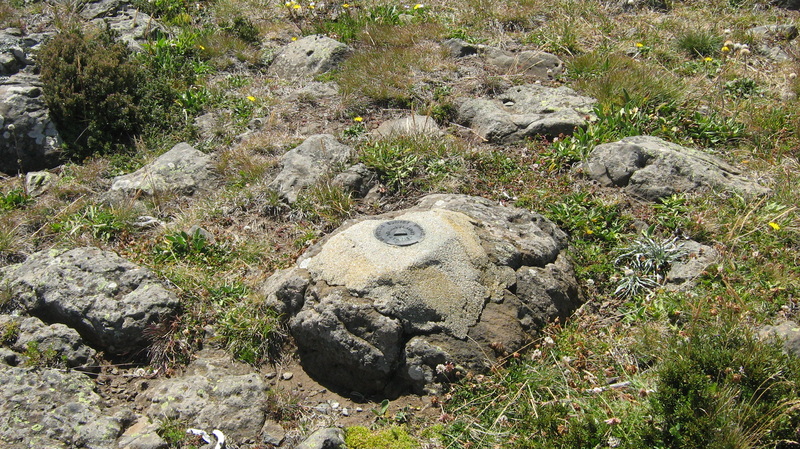 Trigs are often in the form of a metal structure, wooden structure, concrete pillars, concrete pillars with vanes, bronze survey discs set in stone or a stone cairn. 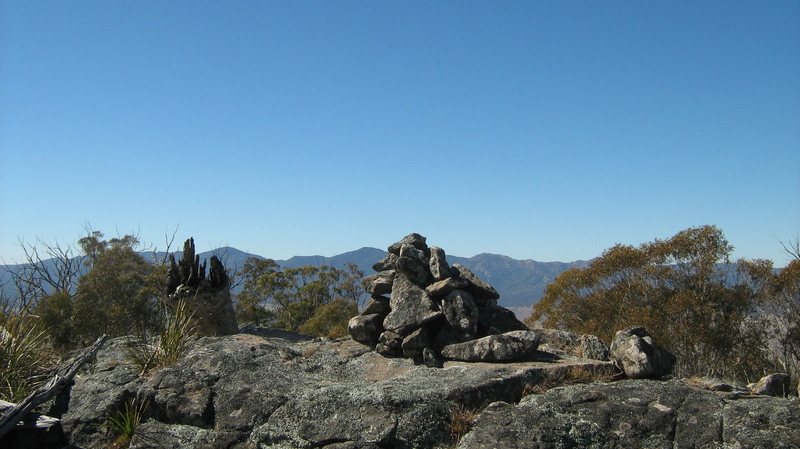 Stone cairns vary from a loose pile of rocks to substantial or complex structures 2 or 3 metres high. 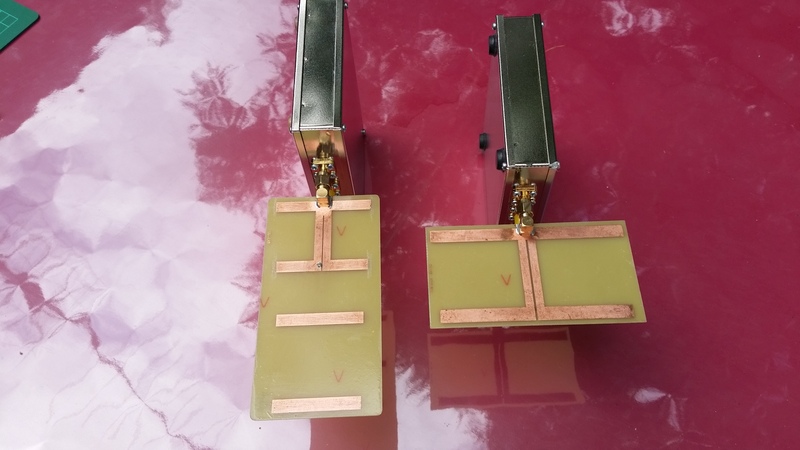 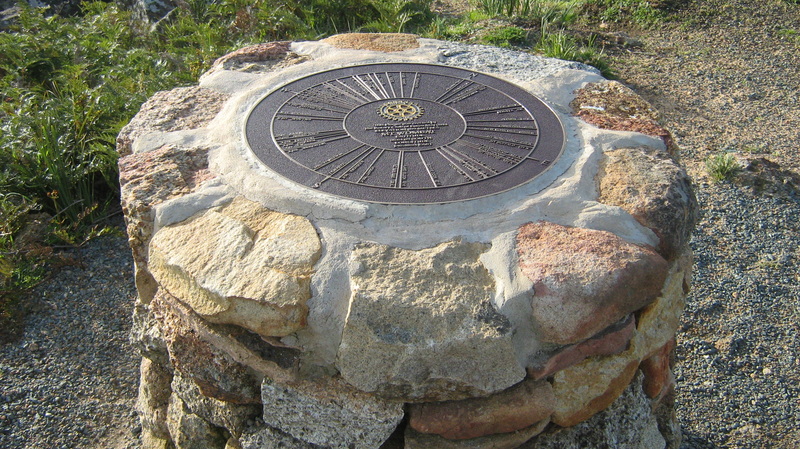 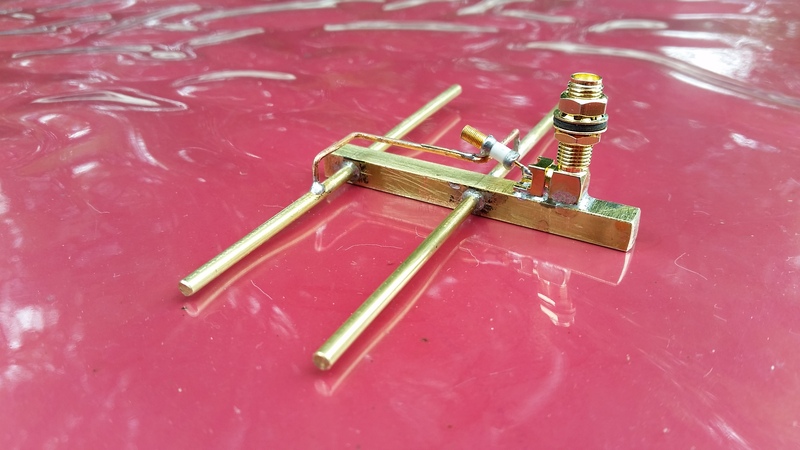 Trigs are well-known as collectables to geocache treasure hunters. 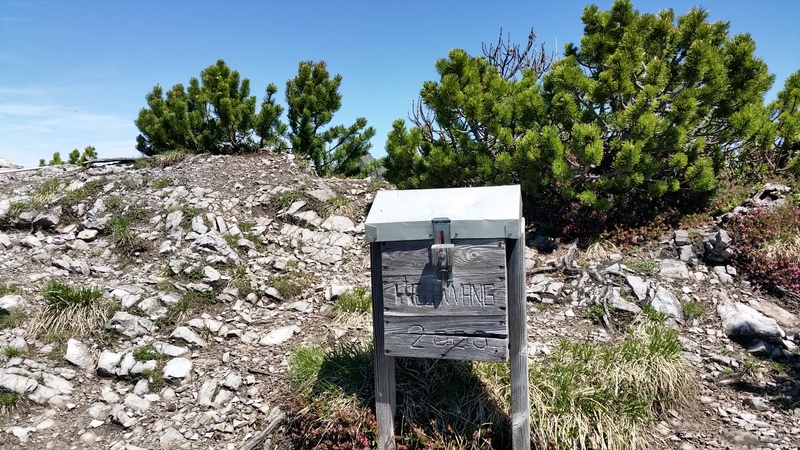 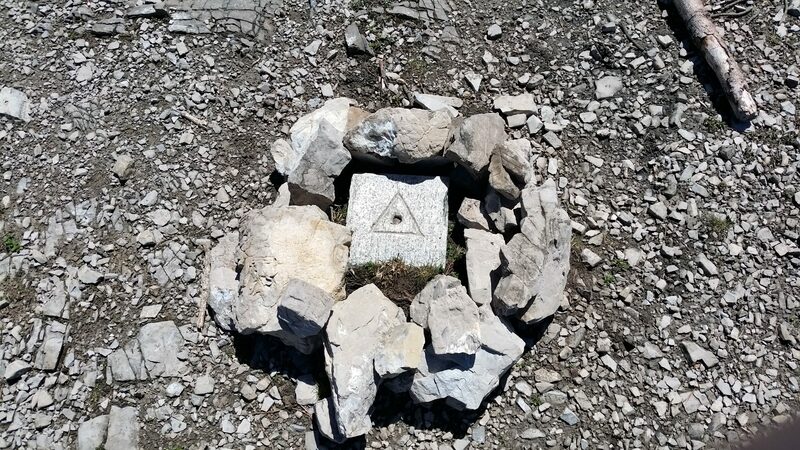 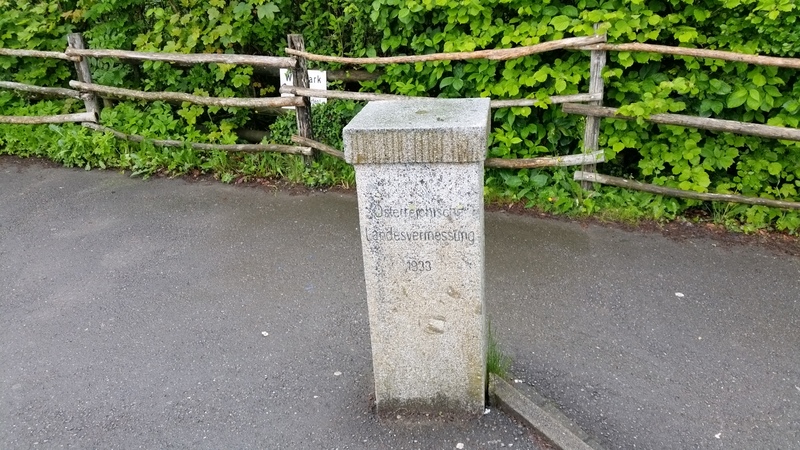 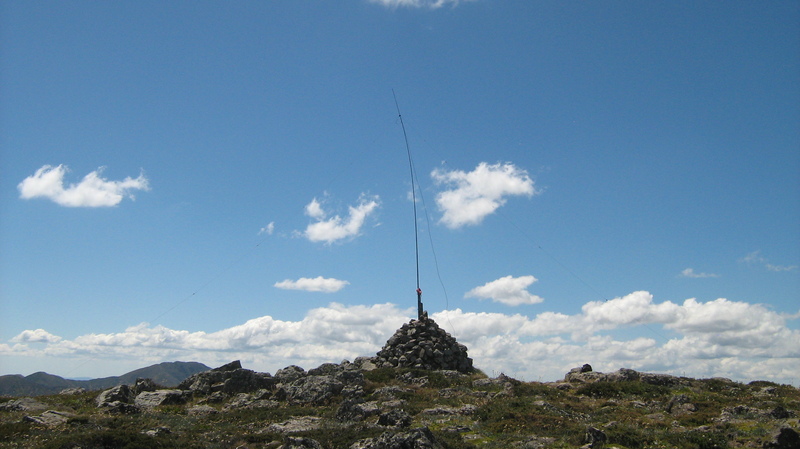 Here is a collection of Trig station pictures by country and state, the first picture is a trig station on the summit of Helwangspitz 2000 m ASL in Liechtenstein. 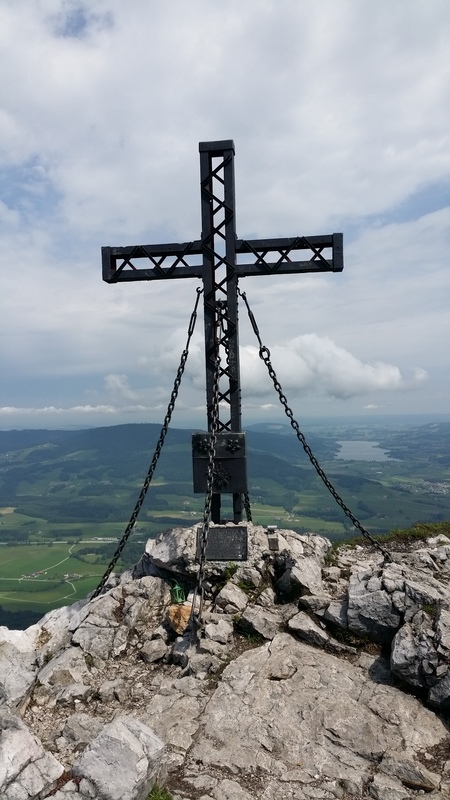 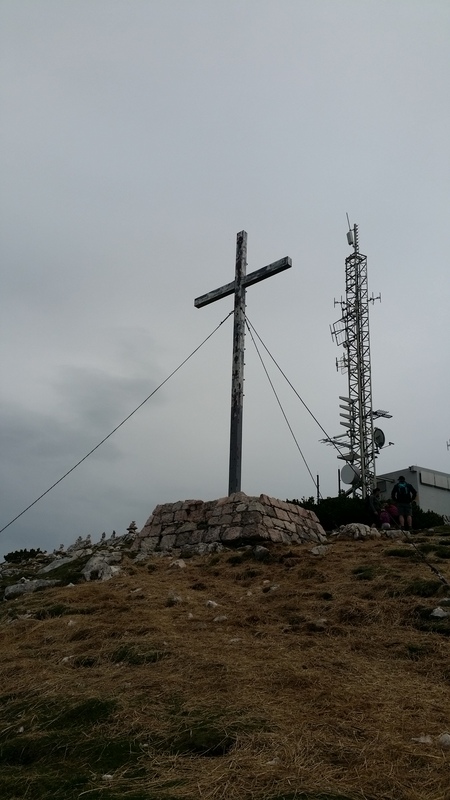 The cross at the summit of Schober is an important religious symbol but also serves as a marker for the highest point above sea level. 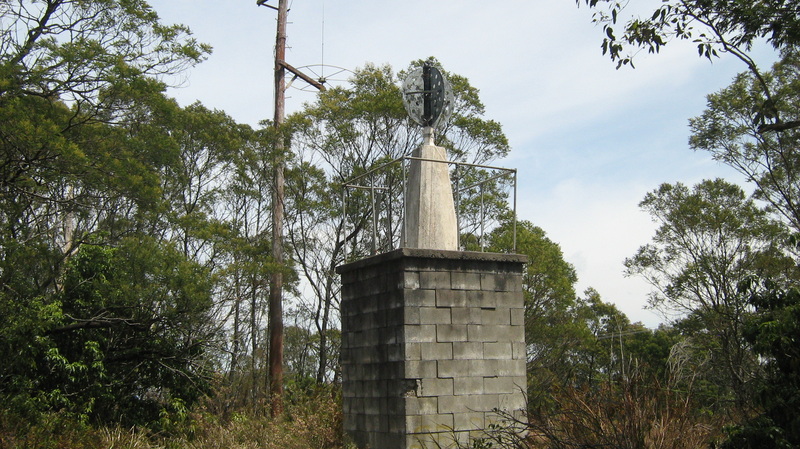 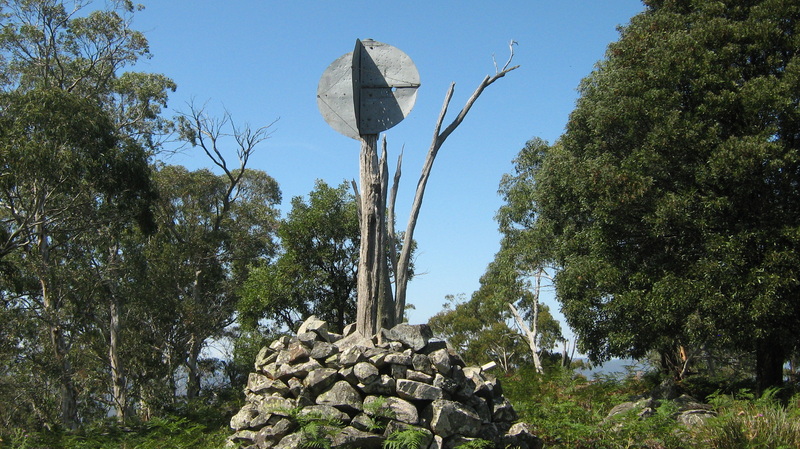 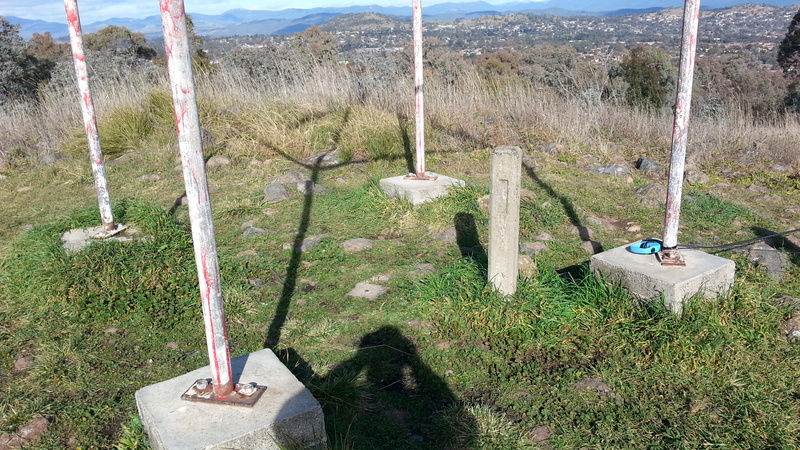 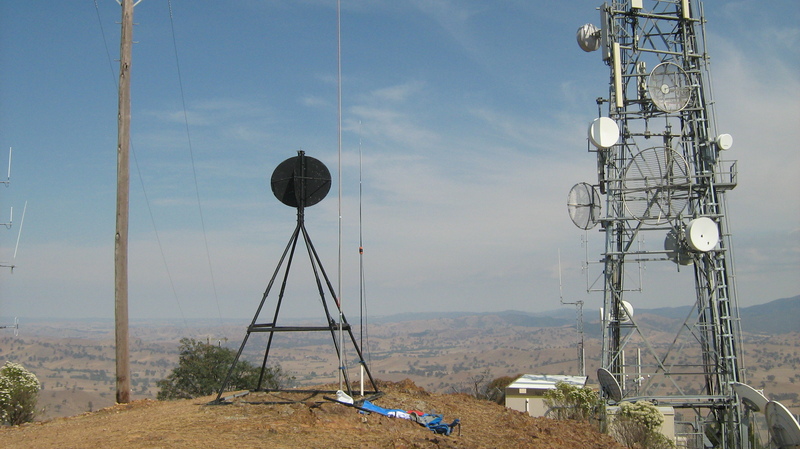 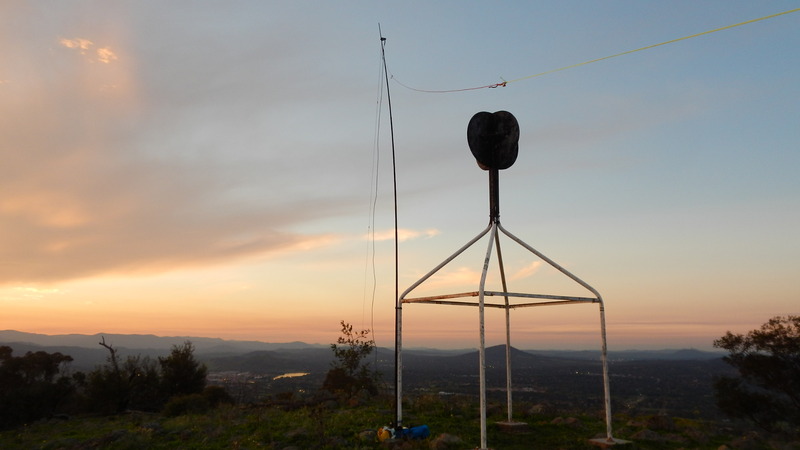 Davidson Trig Station: a white quadripod supporting a black disc-vane. 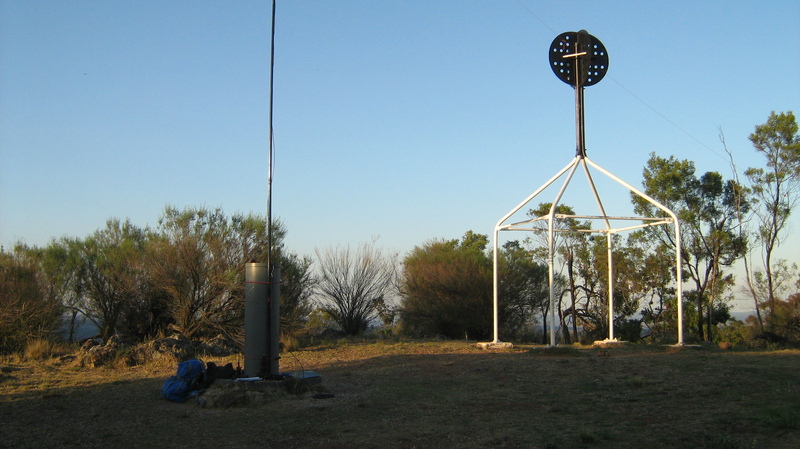 The quadripod style is common to the ACT. 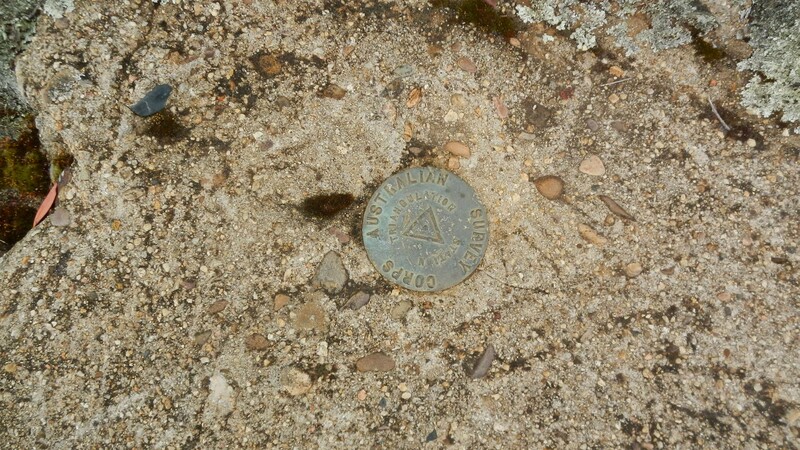 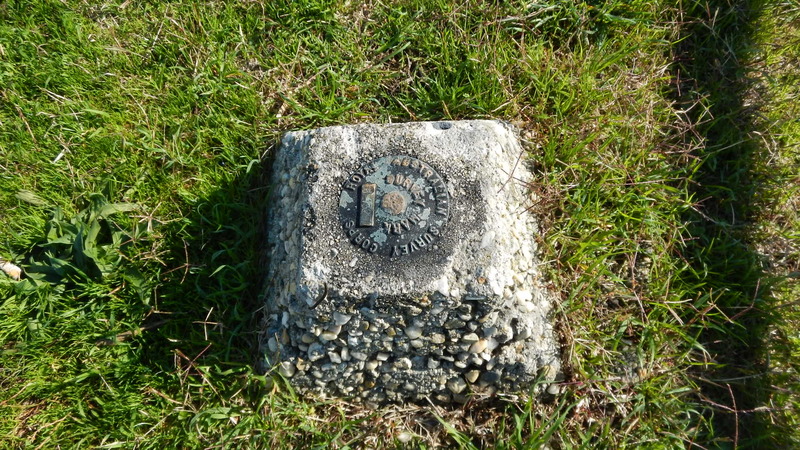 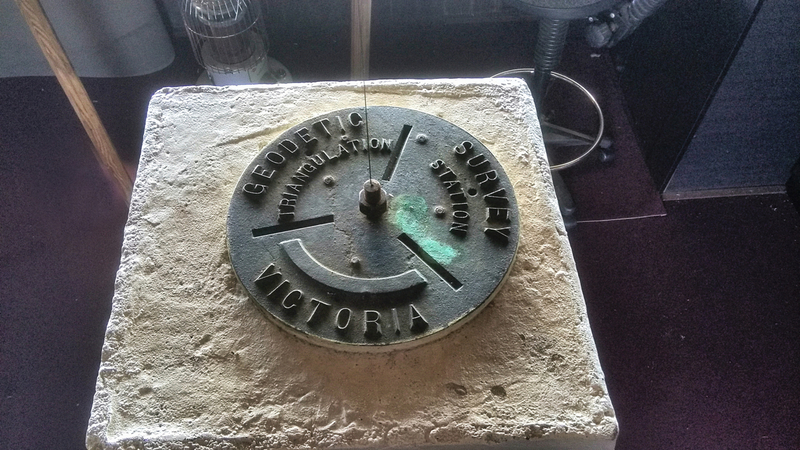 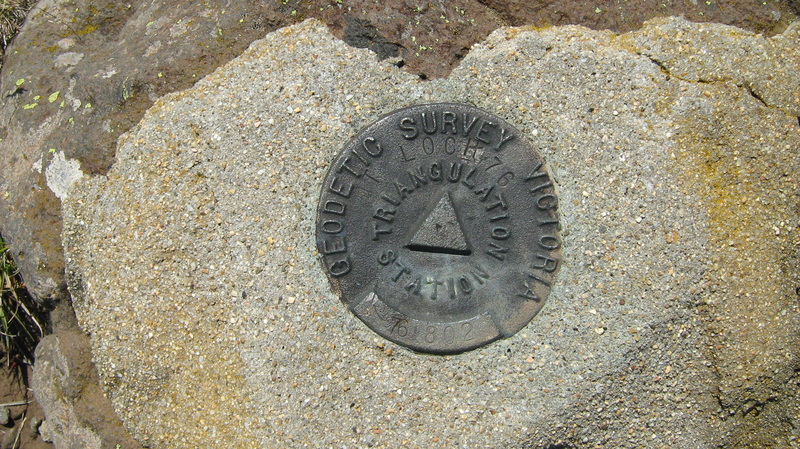 Where in the Australian Capital Territory is this benchmark (BM) survey marker plate (general location say within 1 km)? 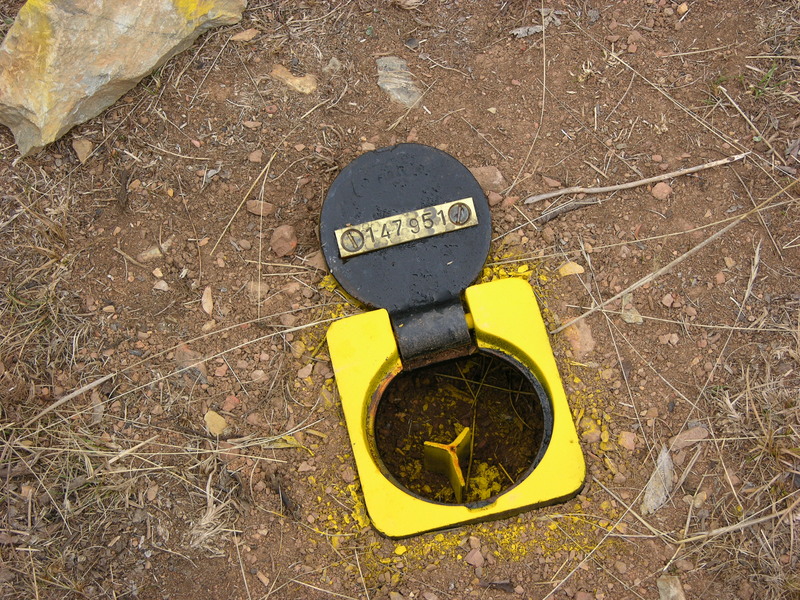 Who’s into Geocaching, do you know the precise location? 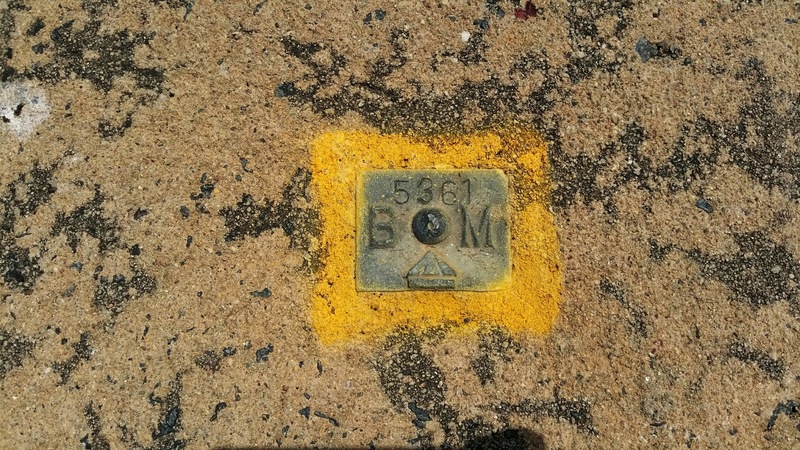 Benchmark Survey Plate found on Devonport Street, Lyons, Canberra. 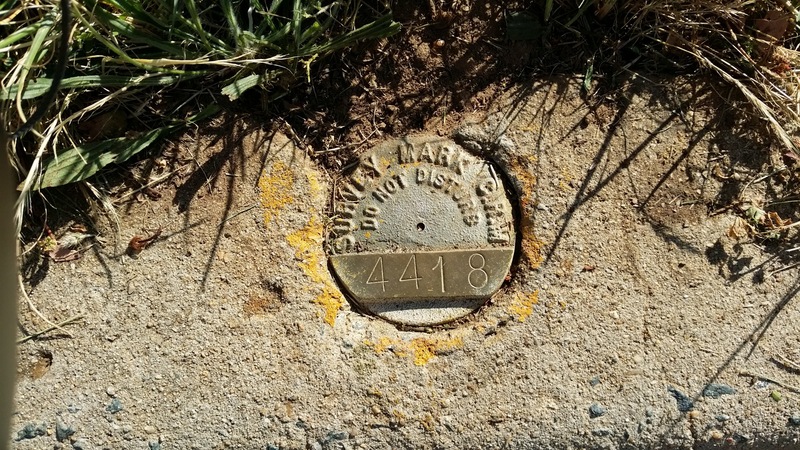 The plate registration is CRM 4418 Easting: 205608; Northing: 597972. 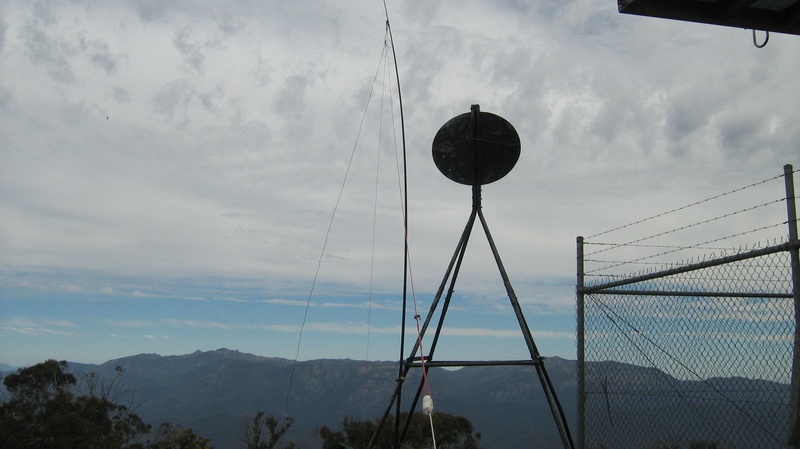 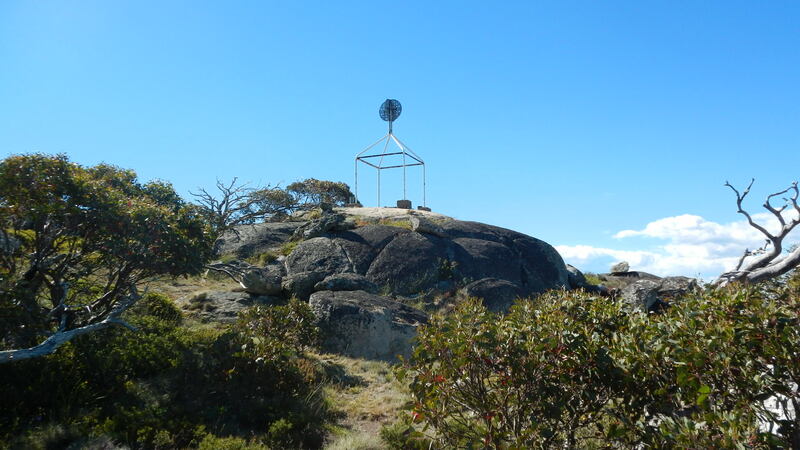 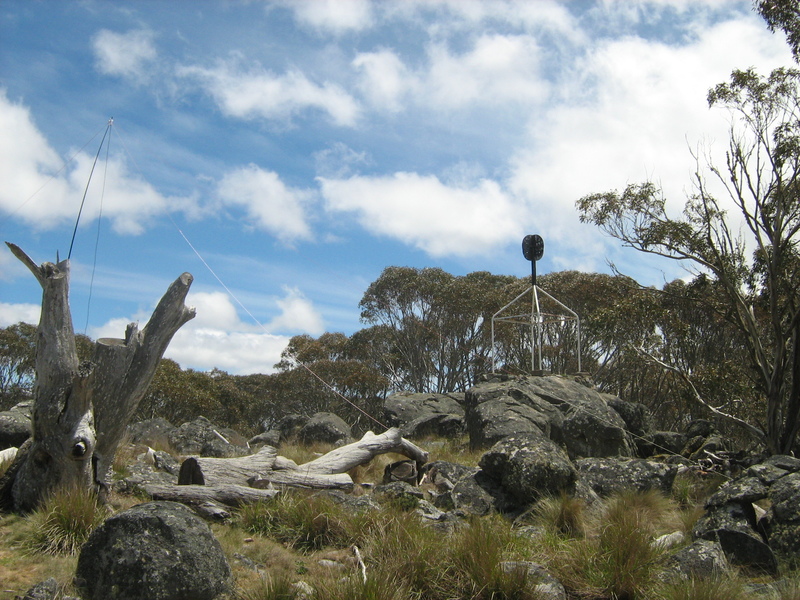 Mt Buller Trig Station (C. Herbert 2014) – This unique Trig Station is housed inside the Mt Buller Fire Lookout Tower. 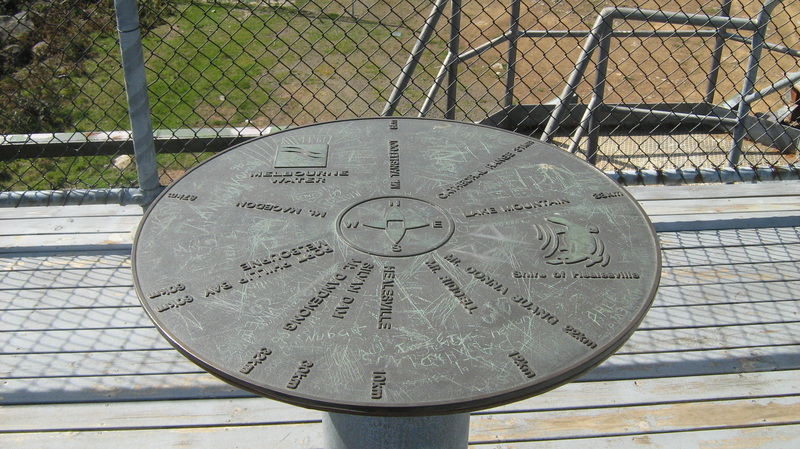 This trig station can only be viewed from the inside of the fire tower. 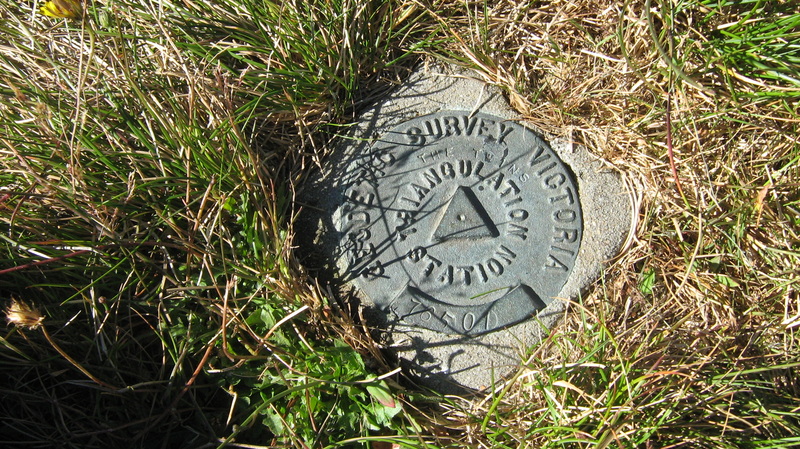 Mt Buller Trig Station. 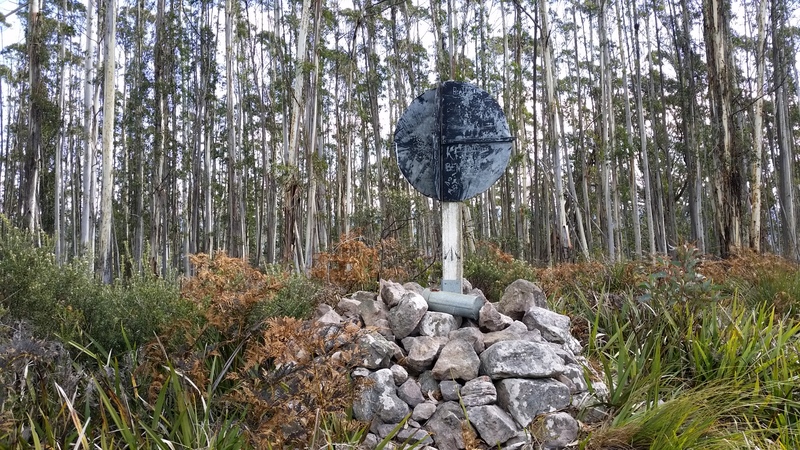 Photo by C. Herbert (2014). 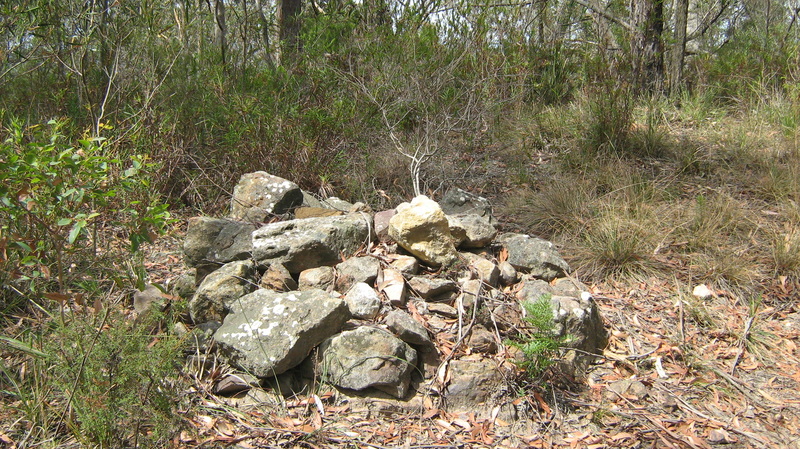 Permission to display the photo granted by C. Herbert 10 January 2017. 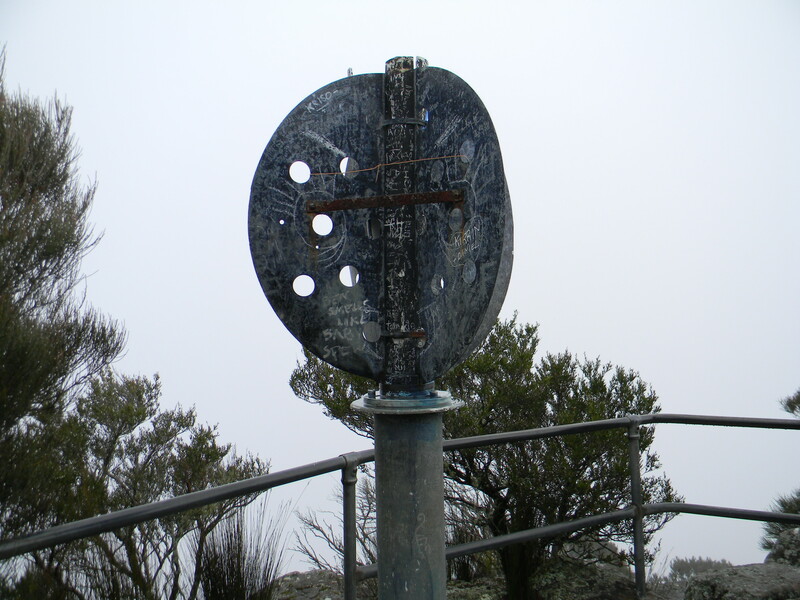 Mt Buller fire lookout tower. 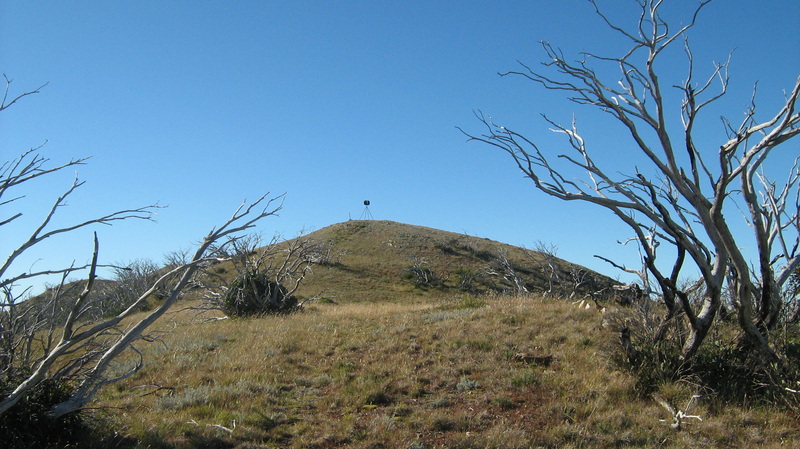 Photo by C.Herbert. 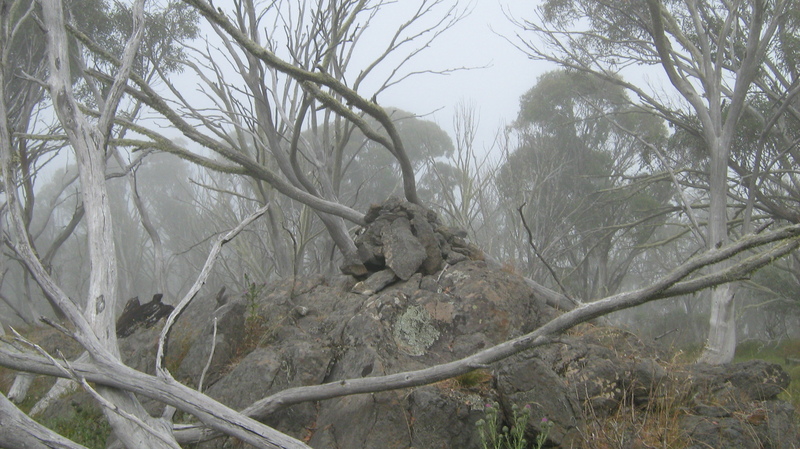 Mt Little Joe, near Warburton. 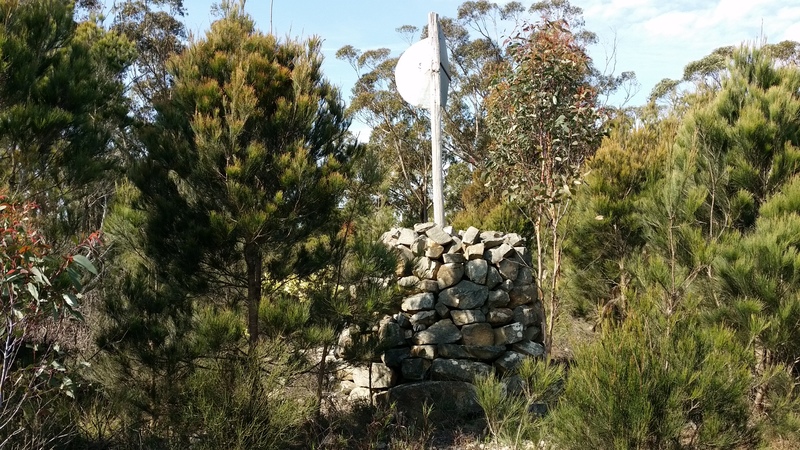 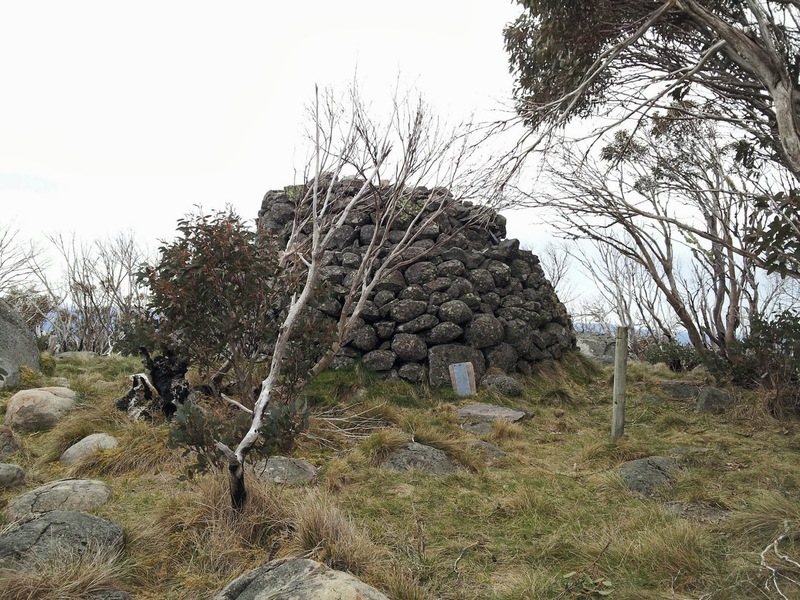 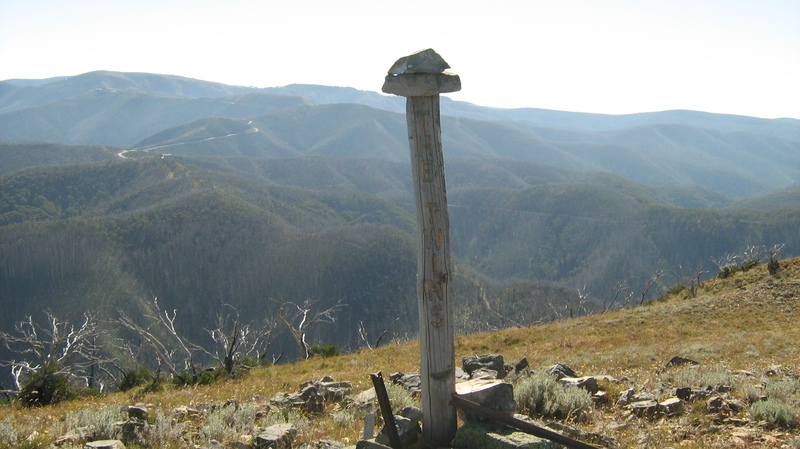 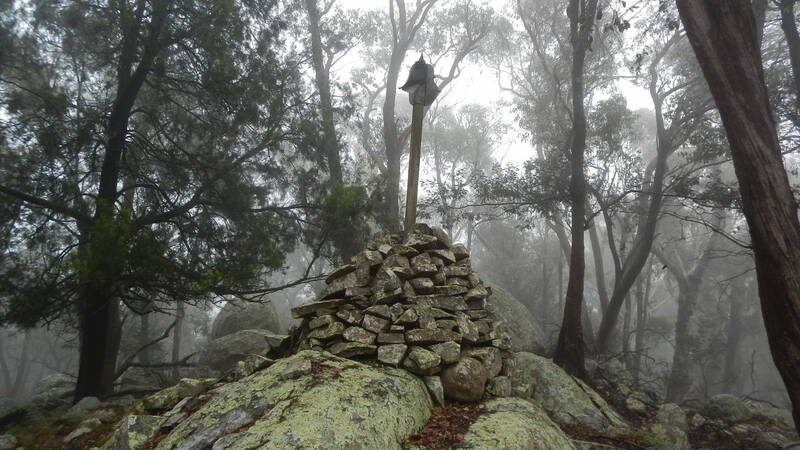 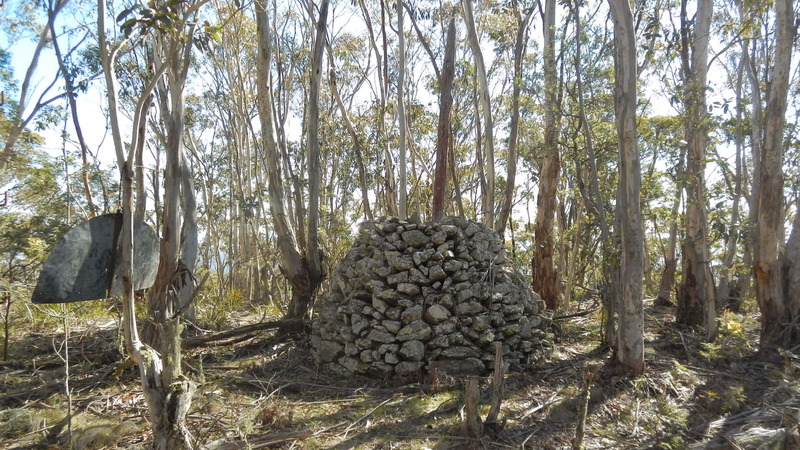 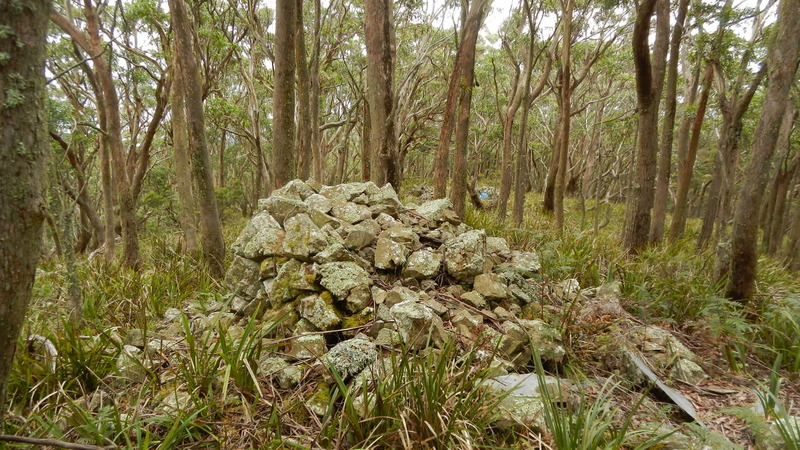 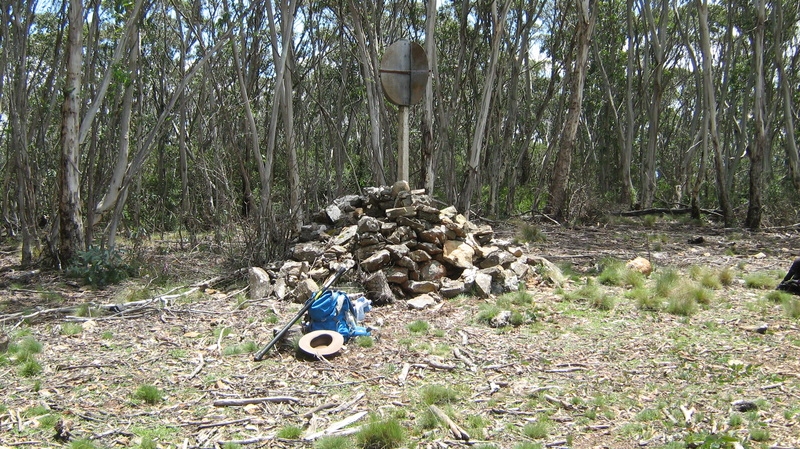 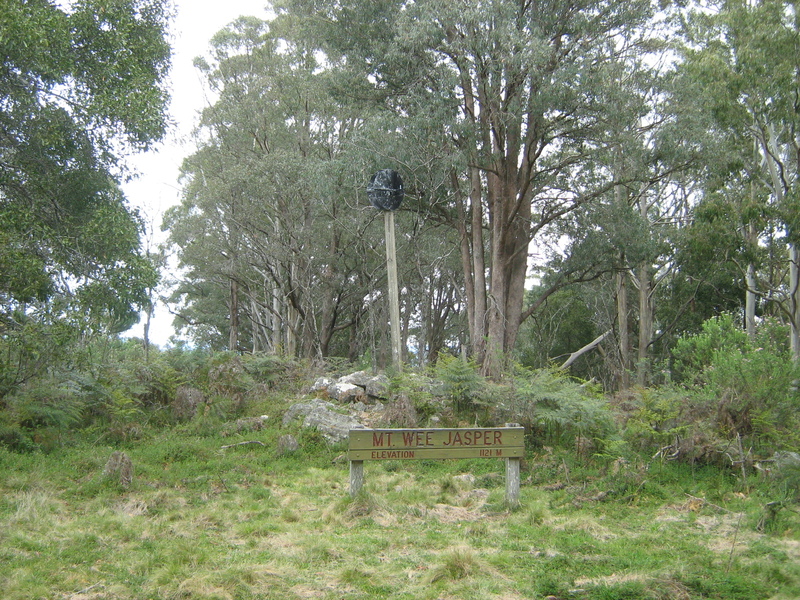 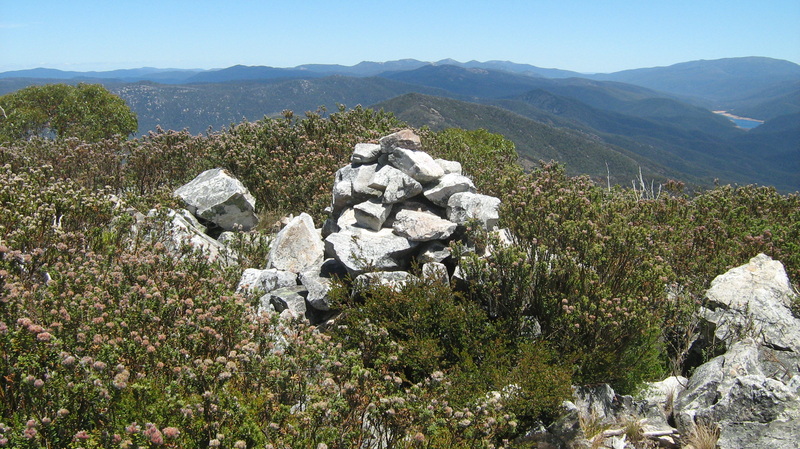 Mt Little Joe – stone cairn started by Tony VK3CAT, currently under construction. 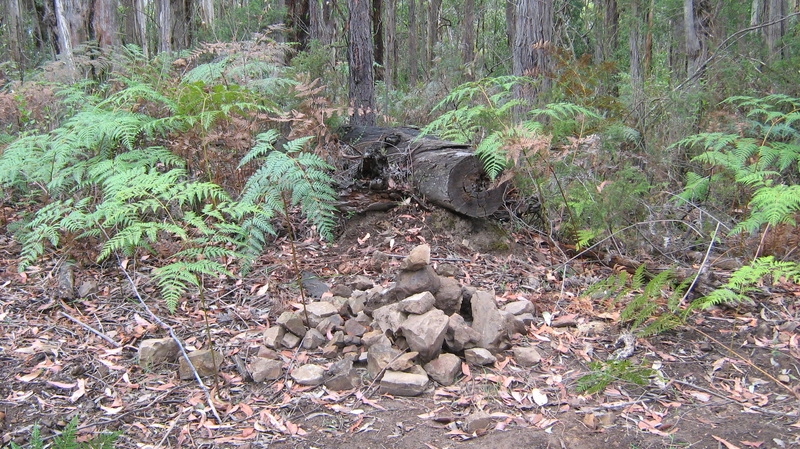 Tony will appreciate your contribution to the infant stone cairn. 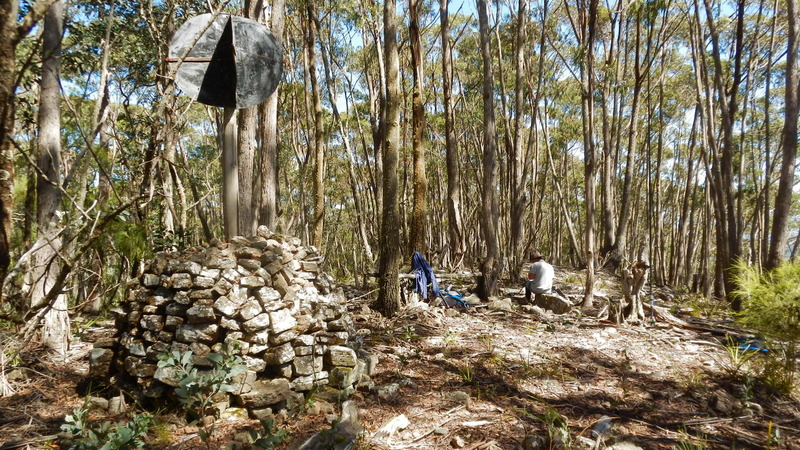 Thanks, it’s good to be outdoors searching for new trig types. 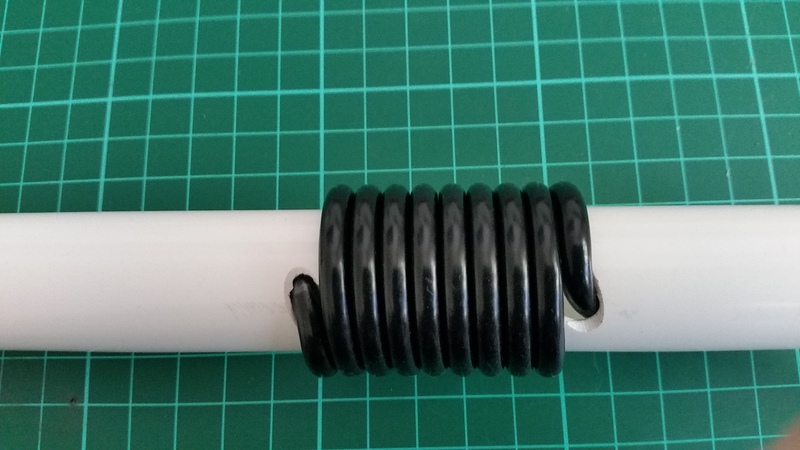 I’m always surprised by the variety. 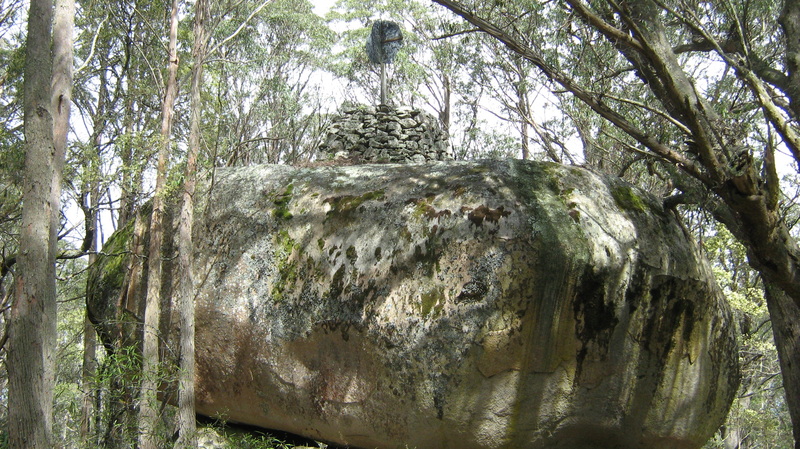 Andrew. 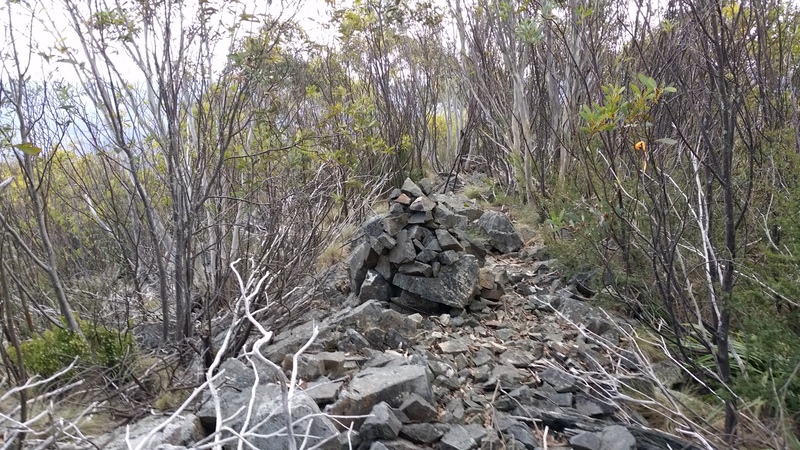 Looks like my Little Joe cairn needs a littke help to catch up to the others!